1 of 4 Heat oven to 350 degrees . Coat two 8-inch round cake pans with nonstick cooking spray. Line pans with wax or parchment paper; coat paper with spray. 2 of 4 Combine flour, sugar, baking powder, salt, 1/2 cup of the milk and the shortening in a large bowl. Beat at low speed until blended, then beat on high speed 2 minutes. 3 of 4 Combine remaining 1/2 cup milk, the lemon juice, lemon zest and eggs in a small bowl. Gradually add to batter and beat on high speed 2 minutes longer, scraping down sides of bowl occasionally. Divide batter between pans. 4 of 4 Bake at 350 degrees for 33 to 35 minutes or until a toothpick inserted in center tests clean. Cool cakes in pans on racks 15 minutes. Remove cakes from pans to racks and remove paper. Let cool completely. 1 of 2 While cake cools, with an electric mixer, beat butter until smooth. Add confectioners' sugar, half-and-half and vanilla and beat until smooth. Tint frosting pink with food coloring. Set aside. 2 of 2 Place one cake layer on a serving plate. 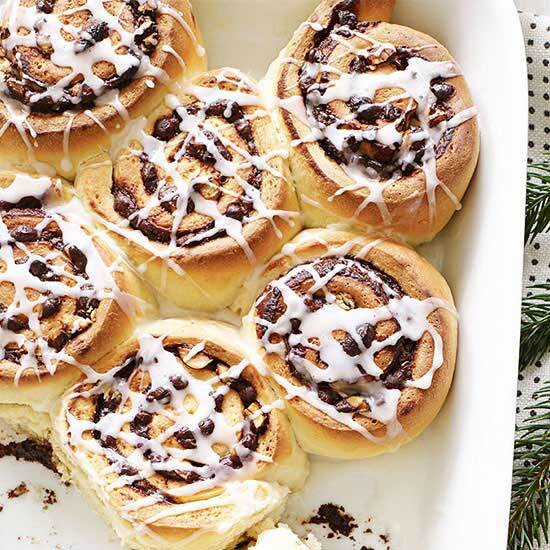 Spread top with 1 cup of the frosting. Gently press second cake layer on top. Spread remaining frosting on side and top of cake. 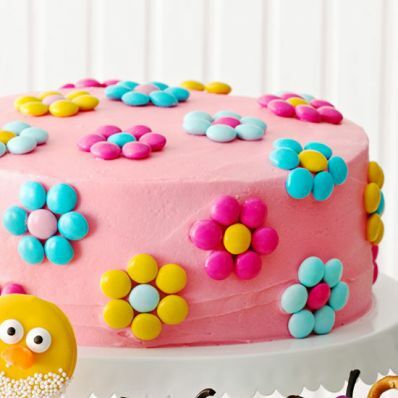 Press M&M's into cake to resemble flowers, alternating colors of centers and petals.